Xiaomi set to launch yet another device called Xiaomi Redmi Pro 2. There have been rumors about this upcoming smartphone from Xiaomi. Though, there's no official date for the release. Meanwhile, this is what you should be expecting from Xiaomi Redmi Pro 2. Price 210 EUR, roughly $227 in USD. 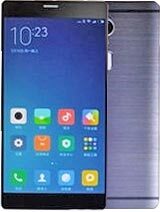 Xiaomi Redmi Pro 2 rumored specifications. Xiaomi Redmi Pro 2 release date. Xiaomi Redmi Pro 2 price in India, Ghana, China, Kenya, Nigeria. If truly it comes in this price packed with all these specs, that's a steal. I will over look the fact that it's nano and Sim 2 doubles as memory card slot.